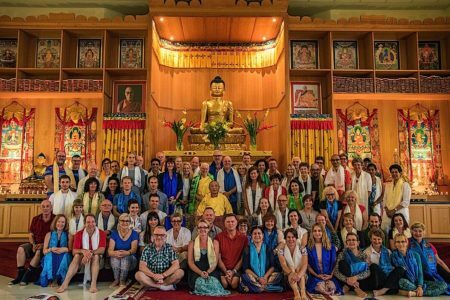 Venerable Zasep Tulku Rinpoche (center) surrounded by students at a teaching in Tibetan Buddhist Society Temple in Perth, Australia March 2017. 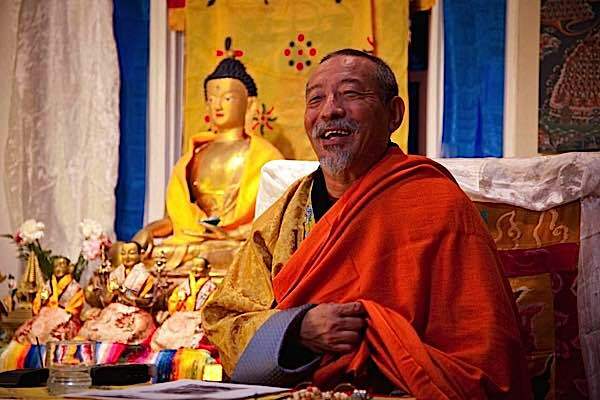 Rinpoche tours extensively to deliver precious teachings. He is in Mongolia currently, and will be in Vancouver in April 2017 at Zuru Ling and in Toronto in May at Gaden Choling. 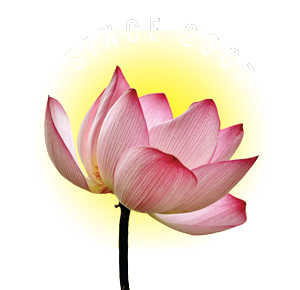 What practical advice would you give to a new student to purify their mental difilements and bad karma? 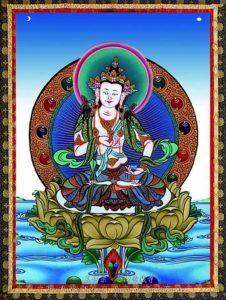 Can you speak about Vajrasattva purification? 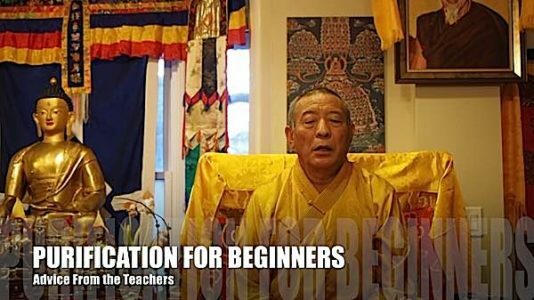 Zasep Rinpoche: “Purification for a beginner. There are two types of purification. Purification according to Sutra, and purification according to Tantra. According to Sutra, basically, meditation itself is the purification. According to Pali tradition its called ‘Visudimada’, Path of Purification, and you meditate every day, cultivate awareness, mindfulness — that would be very good for purifying the mind. Also, I would suggest one should practice ‘Metta’ and ‘Karuna’, loving kindness. Meditate on love and compassion, for yourself, for others. That will purify our mental defilements and purify our karma. 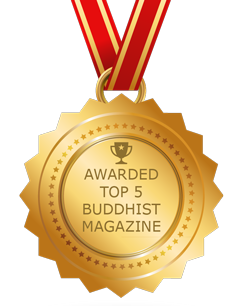 According to Tantra, one of the most powerful purifications is meditations on Vajrasattva. 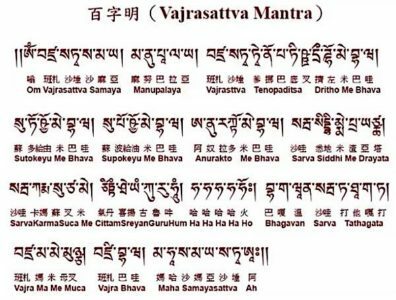 Recite the mantra of Vajrasattva, the 100-syllable mantra [mantra below transcript]. If you don’t have initiation, you can say the mantra, no problem, you can visualize Vajrasattva in front of you. [Or] Above your crown, as well. 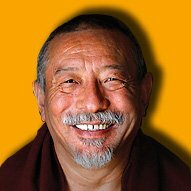 To help purify and meditate on our obscurations, negative karmas and obstacles, Rinpoche recommends Vajrasattva meditation. 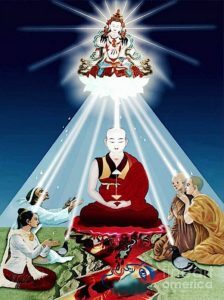 Visualize Vajrasattva (pictured above) over your head or in front of you, with white light or nectar coming from his heart into your body through the crown of your head. Realize and imagine that the nectar purifies all negativities. 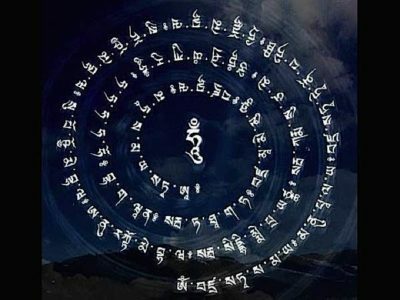 Imagine — as you say the mantra — imagine purifying nectar coming from the heart of Vajrasattva, and the nectar enters through your your crown [of your head] and enters into your body, first purifying the body. The nectar flowing down through the body. And as if flows down it purifies all the bodily karmas: disease, sickness, unwholesome karmas of the past, unwholesome karmas of the bodies are purified. Say the mantra, lets say 21 times. Note: For pronunciation there are generally no long vowels, so “a” is always ‘ah”, “e” is usually “eh” sound, and “i” is usually “ee”sound, “u” is “ew”. For example “anupalaya” would be pronounced “ah-new-pah-lah-yah.” Also, “sh” or “th” is always pronounce “s-h” or “t-h” separated. A soft “sh” s is indicated by Ṣ or Ś. For example, “TVENOPATIṢṬHA” is pronounced “T-ven-oh-pah-teesh-t-ha” (ending in “ha” not “tha”). Likewise, for “Phat” this is pronounced “puh – hat” (p, then hat) but as an forceful exhalation. For guidance listen to the video below. Make me one with you. Syllable of uniting in non-duality. Syllable of the wisdom of great bliss. Syllable that clarifies the wisdom of inseparable bliss-emptiness and destroys the dualistic mind that obstructs realization. 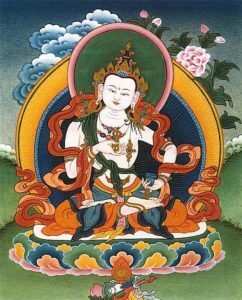 As you chant the mantra, visualize white light or nectar coming from Vajrasattva and entering your body, purifying all negativities. 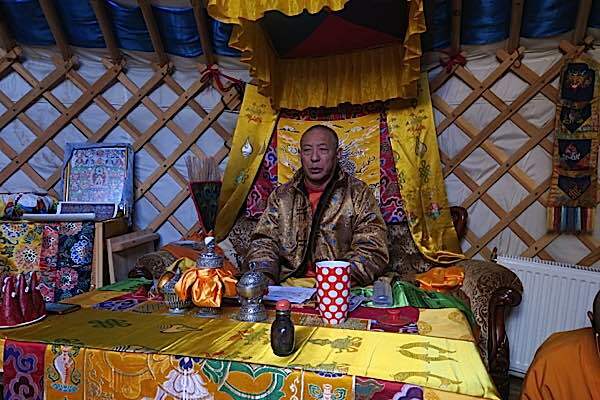 Zasep Tulku Rinpoche is currently teaching in Mongolia (photo of teaching in a traditional yurt (tent) April 2017), after several weeks of intense teachings all over Australia. in April he will be teaching in Zuru Ling Vancouver, and beginning May 20, Rinpoche will teach at Gaden Choling Toronto for two weeks in 2017.